Edmund Alfred Cornish was born in Perth on 7 January 1909. He was the son of William Alfred Cornish and Ruby Ada (nÃ©e Ovey), and had a younger brother and sister. His father was keen on his education and trained his memory from a very early age. In fact by the age of four he could recite Oliver Goldsmith’s The Deserted Village, and all the towns on the river Volga. After primary schooling in Perth he went to Wesley College, Melbourne, which he left without matriculating but where he probably acquired his lifelong interest in cricket. After a short interval he returned to Wesley where he obtained his matriculation. He began his studies in the Faculty of Agriculture at the University of Melbourne. He graduated in 1931 with first class honours in Agricultural Biochemistry and in Agricultural Engineering and Surveying, and won the James Cuming Prize in Agricultural Chemistry and Agricultural Biochemistry. He was appointed Agrostologist at the Waite Agricultural Research Institute where he began working on the relationship between meteorological variables and agricultural yields which was to occupy much of his research time in later years. In 1937, Cornish took leave of absence at his own expense to study at University College, London, with Sir Ronald Fisher. One outcome of this experience was the much quoted paper, ‘Moments and cumulants in the specification of distributions’ [with Fisher RA, 1938, Review of the International Statistical Institute, 5: 307-320], on the use of moments and cumulants to provide approximations to distributions. This led to further work by Cornish and others which is still continuing. In 1940, he obtained his MSc and in 1951 a DSc from the University of Adelaide. On his return from England in 1938 Cornish was appointed Statistician to the Waite Institute. In 1941, CSIR had the vision to create a section of Mathematical Statistics (known at this time as the ‘Section of Biometrics’), and appointed Cornish as its head. This was sited in 1944 in the grounds of the University of Adelaide, to the profit of both institutions. In fact, the CSIR had had up to this time a very small biometrical section for a number of years, which for most of this time consisted of Miss FE Allan (later Mrs J Calvert) and Miss M. Barnard (later Mrs SA Prentice) both of whom had done notable early work on theoretical statistics. Here he organised a group which included EJ Williams, GA McIntyre and Helen Turner, all of whom later achieved fame as statisticians. The value of this section to Australian science quickly became apparent and in 1954 it became a CSIRO Division with Cornish as its Chief. Besides doing research in varied aspects of mathematical and applied statistics, many of its scientific officers were attached to other Divisions as consultants. He remained Chief of the Division for the next 19 years and was planning to retire when he died suddenly on 31st January 1973. A full account of the life and achievements of Edmund Cornish can be found by following the link in the Source details below. 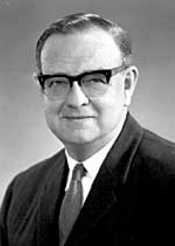 Moran PAP, 1971, Biographical memoirs: Edmund Alfred Cornish 1909-1973, Records of the Australian Academy of Science, 2 (4): 41-47. [Australian Academy of Science – http://sciencearchive.org.au/fellows/memoirs/cornish.html].